Charles Tyrwhitt, a British menswear brand, today unveiled its 2019 Summer Collection with new business casual wardrobe essentials. Offering a range of products including shirts, suits, jackets, blazers, pants, shoes and accessories, Charles Tyrwhitt produces premium and affordable menswear with a touch of British style. Now available in US retail stores and on CTShirts.com, Charles Tyrwhitt’s 2019 Summer Collection provides light and comfortable options that are both practical for warm weather and up to date with the latest in business style trends. 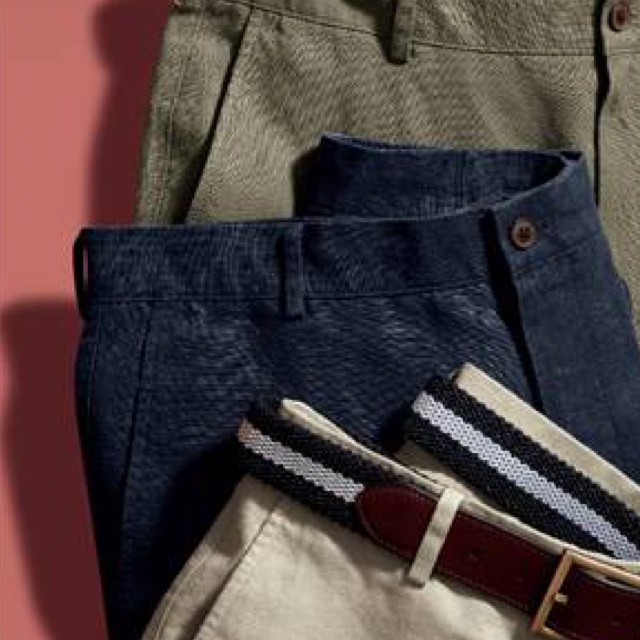 The collection’s three core fabrics – Tyrwhitt Cool Cotton, wrinkle-resistant Linen, and eco-friendly Lyocell – provide comfort and flexibility in summer weather and feature a variety of products, including button-down shirts, jackets, pants and polos. New to the Charles Tyrwhitt collection, Lyocell is an eco-friendly fiber produced from wood pulp harvested from sustainably managed forest. Charles Tyrwhitt’s 2019 Summer Collection, full of quality menswear items at affordable prices and a hint of British charm, is available today. Imagery can be found here. Charles Tyrwhitt (‘Tyrwhitt’ pronounced like spirit!) was founded in 1986 by Nicholas Charles Tyrwhitt Wheeler to make it easy for men to dress well. Today, Charles Tyrwhitt produces the finest menswear with timeless style and no compromise on quality. Based in England with a flagship store on the world-famous Jermyn street, Charles Tyrwhitt expanded to retail locations in America in 2002 and now has 13 retail stores including New York, Washington DC and Chicago. Best known for its wide variety of shirts, Charles Tyrwhitt offers a complete menswear range including suits, pants, blazers, jackets, sweaters, shoes and accessories. This entry was posted in Feature and tagged 360, 360 Magazine, accessories, affordable, blazers, British, casual, Charles Tyrwhitt, crafted, easy-care linen, Eco-friendly, italian linen, Italy, jackets, linen, lyocell, made in sun, menswear, natural performance, Nicholas Charles Tyrwhitt Wheeler, non-iron cotton linen, nova fields, pants, shoes, sophisticated, Spencer Riley, suits, sweaters, Tara McDonough, tencel, Vaughn Lowery, wood pulp on April 25, 2019 by wp360mag. Azuri Technologies, a leader in pay-as-you-go solar in Africa and crowdfunding platform Energise Africa today announced the latest phase of debt financing from UK impact investors to deliver affordable, clean energy and help solve the energy crisis in sub-Saharan Africa. The Azuri and Energise Africa collaboration plans to raise £2.5 million for pay-as-you-go-solar and help more than 100,000 off-grid people in Sub-Saharan Africa access clean, affordable energy. The investment will support low-income families in Kenya, Nigeria, Uganda, Zambia and Tanzania. More than 600 million people across Africa live without access to electricity – limiting their life chances of achieving economic prosperity and improved quality of life. Universal access to affordable, reliable and modern energy services is one of the United Nation’s Sustainable Development Goals and can only be met with access to sufficient investment. Crowdfunding has emerged as a powerful way of financing the off-grid solar industry and is leading the way in increasing investor interest in the market. Through Energise Africa, individuals in the UK can invest from as little as £50 in bonds, issued by solar businesses, to provide clean and affordable energy access, while targeting annual returns of 6%. Capital is at risk and returns are not guaranteed. Azuri is a leader in pay-as-you-go solar technology and since 2012 has been supplying affordable solar home systems and products to the millions across Africa living off-grid without access to mains electricity. 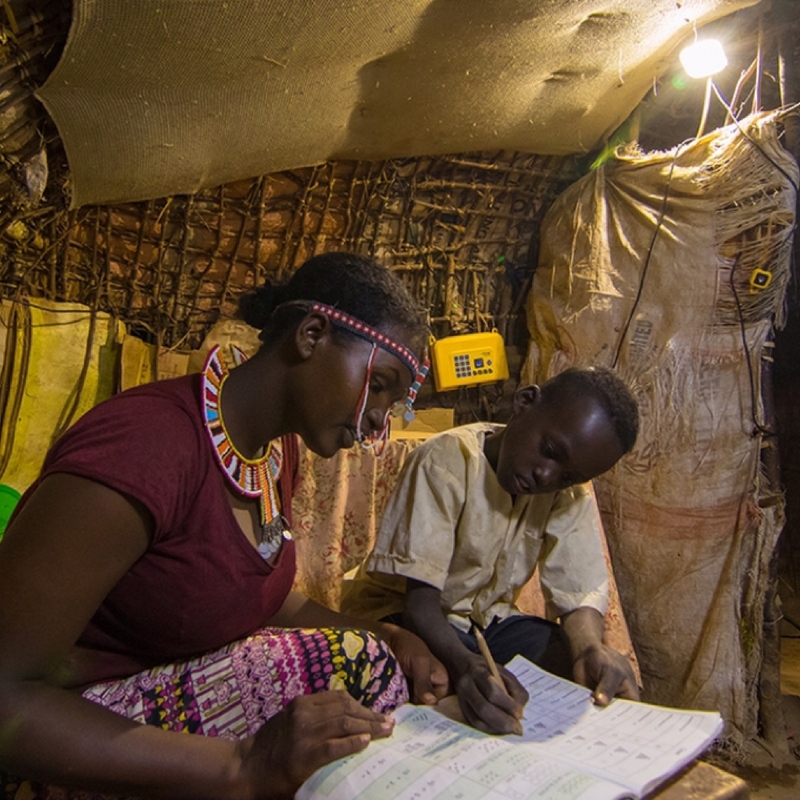 In 2018, Azuri and Energise Africa raised £1.7 million from hundreds of UK investors to deliver clean, affordable energy products to more than 16,000 families in sub-Saharan Africa. Lisa Ashford, Managing Director Energise Africa said: “Through Energise Africa, we are committed to providing UK based people with easily accessible opportunities to invest directly in sustainable businesses that can tackle climate change, create long-term social and environmental impact, and also deliver a potential financial return. We’re looking forward to the prospect of working with Azuri Technologies again to help accelerate the achievement of UN SDG 7. Energise Africa has been developed by Ethex and Lendahand – two of Europe’s leading impact investing companies and is also supported by UK aid, Virgin Unite, Good Energies Foundation and P4G. Over the past 20 months the Energise Africa community of investors has generated over £7.57 million for 12 solar businesses to provide 312,000 people in 10 African countries with access to clean energy, which has prevented almost 70,000 tonnes of CO2 emissions entering the atmosphere annually and also repaid almost £1.8 million back to investors. Investing in Energise Africa projects via the www.energiseafrica.co.uk site involves risk, including the loss of all of your invested capital, illiquidity (the inability to sell assets quickly or without substantial loss in value), and it should be done only as part of a diversified portfolio. The investment opportunities on www.energiseafrica.co.uk are not an offer to the public in any jurisdiction and are available only to registered members of the platform who have certified that they are eligible to invest. Any person who is not resident in the United Kingdom who wishes to view these investment opportunities must first satisfy themselves that they are eligible to do so under the securities laws and regulations applicable to them. This site does not constitute an offer of, or the solicitation of an offer to buy or subscribe for, any securities to any person in any jurisdiction to whom or in which such offer or solicitation would be unlawful. In respect of its regulated activities, Lendahand Ethex Ltd is an appointed representative of Share In Limited, which is authorised and regulated by the Financial Conduct Authority (FRN 603332). This entry was posted in Feature and tagged 360, 360 Magazine, affordable, Africa, Azuri Technologies, bonds, clean, clean energy, crisis, crowdfunding, Energise Africa, energy, England, finance, Global Society, goals, industry, investment, Kenya, Nigeria, powerful, Reid Urban, Simon Bransfield-Garth, solar business, solar industry, solar power, sub-Saharan Africa, sufficiency, Tanzania, Uganda, United Kingdom, United Nations, Vaughn Lowery, Zambia on March 7, 2019 by wp360mag. With a temperate year round climate, farm fresh cuisine and unique adventure experiences, Belize is a perfect three day weekend getaway to escape the winter months. Daily, affordable nonstop flights are offered countrywide from Minneapolis, Denver, Ft. Lauderdale, Atlanta and other major travel hubs making a visit to Belize easier than ever. The San Ignacio Resort Hotel, a premier full-service Belize resort, located in the Cayo district, is within a scenic 90-minute drive or 30-minute flight from Belize City. The hotel boasts first-class amenities and accommodations for those seeking to relax and enjoy a beautiful tropical resort, yet offers nearby adventures for those wanting to explore inland Belize. In addition to stunning jungle views, San Ignacio Resort Hotel offers impeccable service, extraordinary dining options at its Running W Steakhouse & Restaurant, a tennis court and is in close proximity to San Ignacio Town. Plan your Three Perfect Days in Belize Package starting at $1,446 per person, excluding airfare. 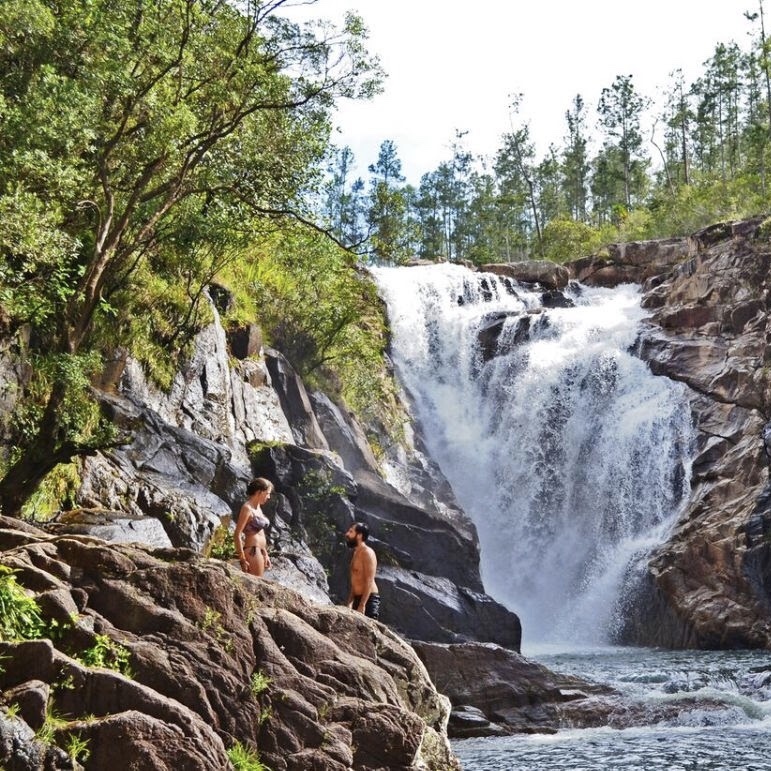 1 full day tour at Mountain Pine Ridge Forest Reserve with an exclusive picnic day trip with hiking trails and optional swimming in private cascades and natural pools. To book your trip visit www.sanignaciobelize.com. This entry was posted in Travel + Food and tagged 360, 360 Magazine, adventure, affordable, Atlanta, beautiful tropical resort, Belize, Belize City, Belize resort, Cayo district, couple's retreat, daily breakfast, Denver, enjoy, experience, explore, farm fresh cuisine, first-class amenities, Ft. Lauderdale, full-service, Global Society, Honeymoon Suite, jungle, Luxury in-room wellness treatment, Minneapolis, nonstop flights, personal butler, rainforest, Rebecca Kang, relax, romance, Running W Steakhouse & Restaurant, San Ignacio Resort Hotel, San Ignacio Town, tennis court, unique, untouched rainforest, Valentines Day, Vaughn Lowery, weekend getaway, wellness, whimsical, Xunantunich, Xunantunich and Cahal Pech Maya sites on January 30, 2019 by wp360mag. 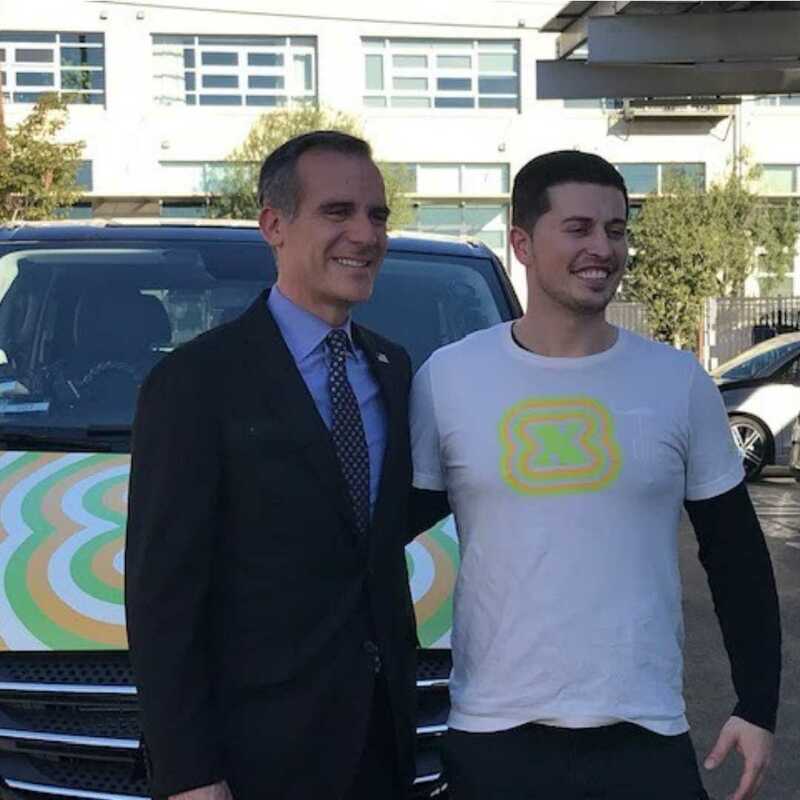 Mayor Eric Garcetti rides FlexLA w/ US Navy Veteran Andrew Gallo! Stay tuned for a video of the Mayor’s FlexLA ride to be posted on social media! 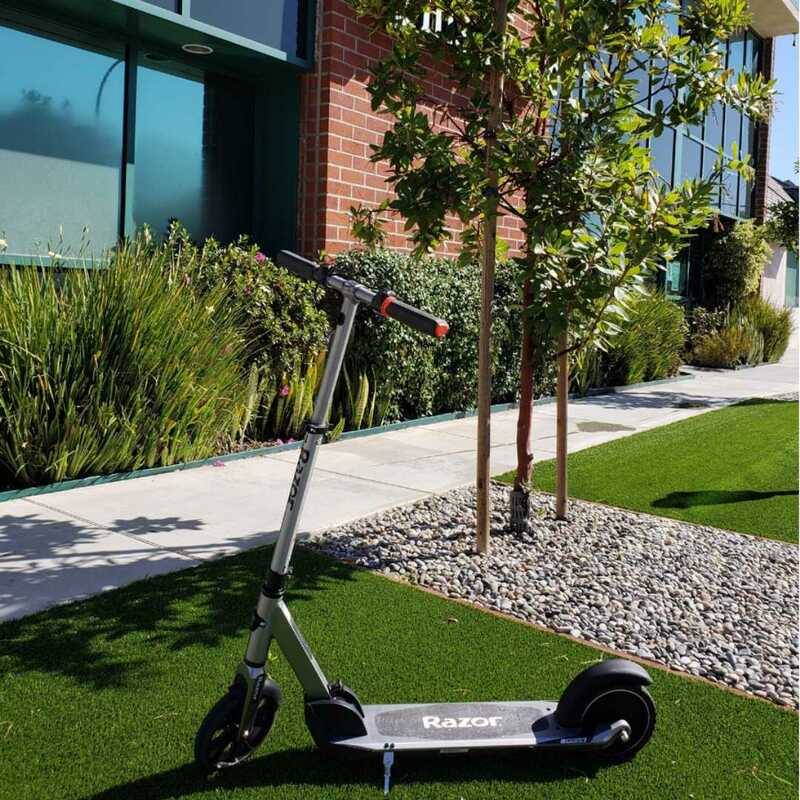 Travel around Downtown LA driven by a salaried driver – many of whom are U.S. military veterans – for an affordable, flat rate fare – on-demand. And this week, it’s FREE! During the day, use the app to access LADOT transit info, and from 7pm to 2am, FlexLA vans are ready to take you anywhere you want to go within DTLA. 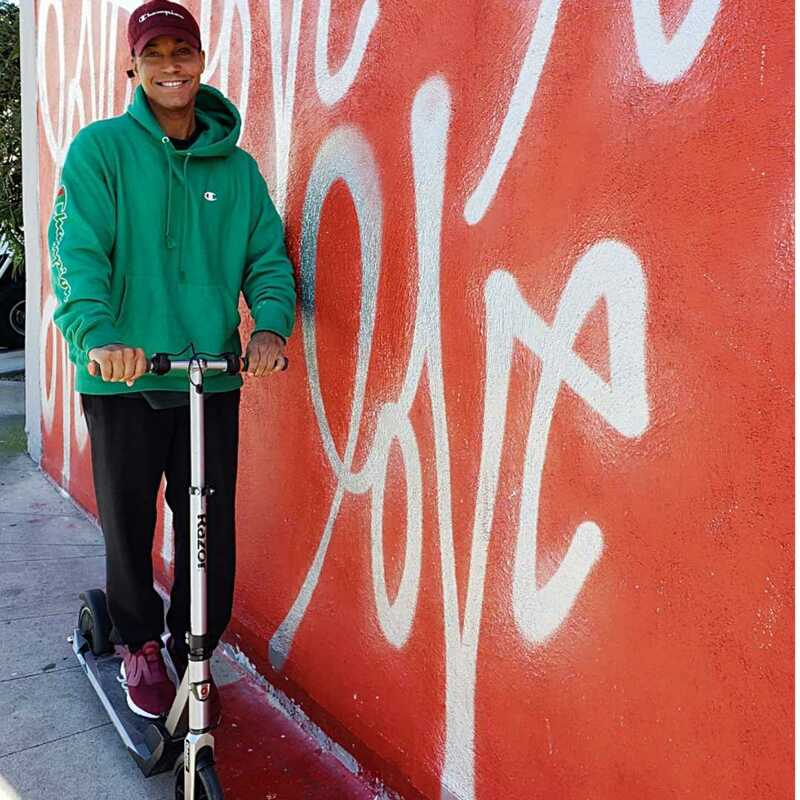 First, FASTLinkDTLA is a non-profit partnership of businesses, employers, developers, business improvement districts, organizations, and nonprofits focused on improving mobility, transportation and infrastructure in Downtown Los Angeles. One part of our mission is to promote and re-brand DTLA as a new mobility innovation center by creating a network of early adopters and travel adventurers. Thus, the creation of FlexLA! This entry was posted in Uncategorized and tagged 360, 360 Magazine, affordable, America, andrew gallo, app, butterfli, community, consumer, customer, DTLA, eric Garcetti, firstlinkdtla, humanitarian, la, Los Angeles, lyft, military, nonprofit, on demand, philanthropy, ridesharing, tech, uber, USA, Vaughn Lowery, Veteran on November 15, 2018 by wp360mag. Today, new research by leading price comparison website MoneySuperMarket reveals that the UK is the most expensive location to raise a family. 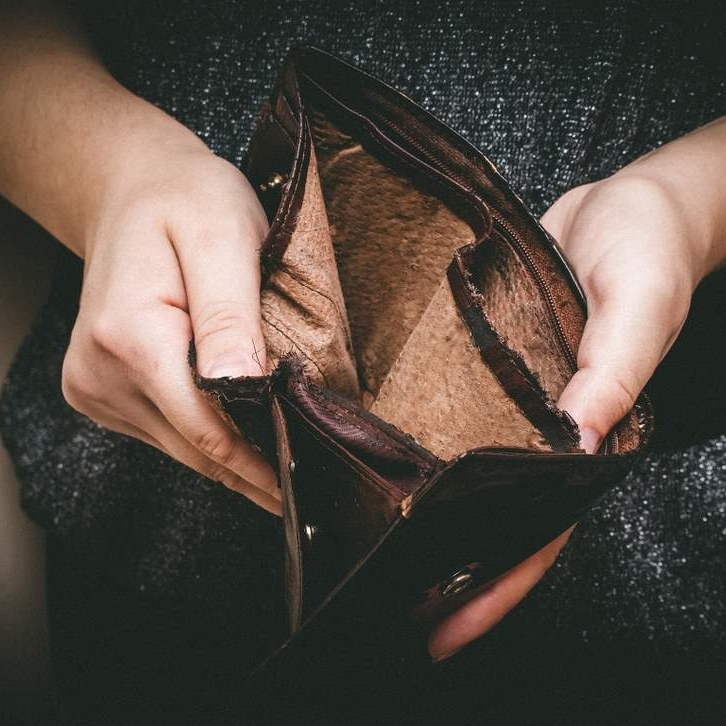 The running costs associated with a four-person family in the UK exceeded those of Spain, USA, Germany and Sweden due to the high costs of rent, utility bills and groceries2. The data is based on the average monthly cost of property, utility bills and grocery shopping for a family with two children in 10 locations. These locations are some of the most popular destinations for the British public to emigrate to. 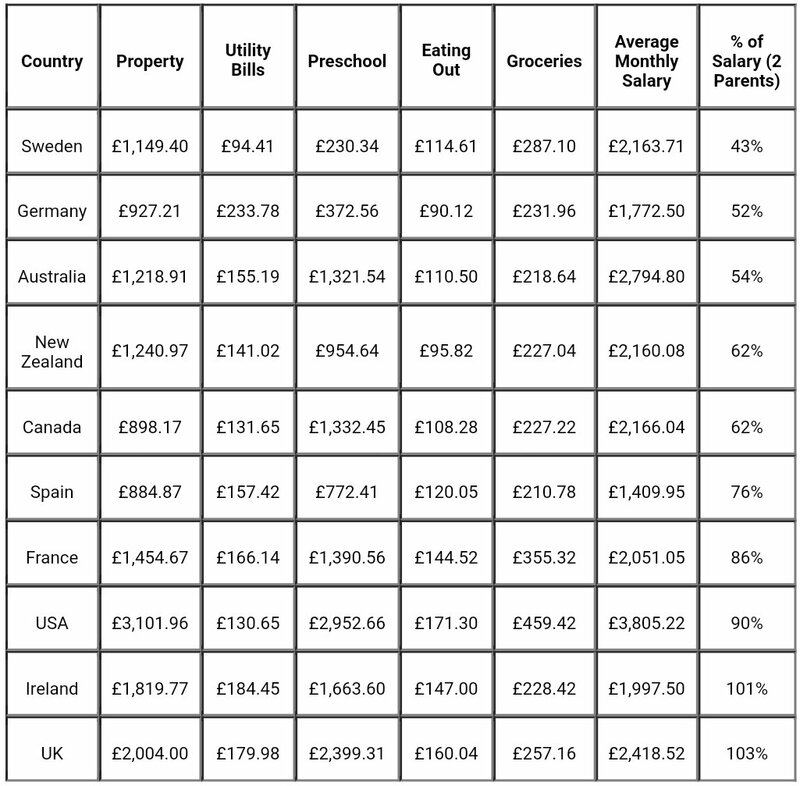 MoneySuperMarket also ranked the costs against the countries’ average full time salary, to reveal the percentage of salary two working adults must put towards household expenses. In the UK, the average cost of a four-person family is more than twice the combined total of two adults’ salaries4. With lower utility bills (£94.41 per month), heavily subsidised pre-school costs (£230.34) and a standard average monthly rent of £1,149.40, Sweden is the only country analysed where a single parent can comfortably afford to have two children, working out as 87 per cent of the average working salary5. Based on two adults with two children it’s even more affordable, eating into less than half (43 per cent) of the combined salaries. On average, the weekly food shop has lowered in price for families over the last 16 years, from £236 to £232. However, spending on both housing and utilities, and household goods and services, has increased by 11 per cent overall. In 2001, the average monthly cost of housing and utilities per person in the UK was £277.77, but by 2017 this figure had risen by 13 per cent to £314.82. Due to these rises, the cost of raising a family in the UK has become more expensive. For more information on the most affordable countries to move to, check out the MoneySuperMarket report around the changes in UK household spending over time. This entry was posted in Uncategorized and tagged 360, 360 Magazine, affordable, Atrin Yazdani-Biuki, bills, British, countries, England, expensive, family, Germany, global, household, housing, London, MoneySuperMarket, monthly cost, monthly rent, property, public, RENT, report, salaries, spain, Sweden, UK, UK household, USA, utilities, utility bills, Vaughn Lowery, weekly food shop on August 10, 2018 by wp360mag. It is that time of the year again, when Americans start preparing their tax returns, but there’s good news as most taxpayers can expect to receive an average refund of $2,895 according to the IRS. This year, South African Tourism is once again launching its Tax Refund campaign to encourage savvy travelers and adventure seekers to make the most of their refund with an out-of-this-world trip to South Africa. Partnering with the top US travel trade partners South African Tourism unveils six new exciting packages priced between $1,700-$3,200 to reflect the average tax refund. The packages offer a variety of experiences focusing on romance, adventure and culture throughout South Africa. Today’s favorable exchange rate also guarantees US travelers’ hard-earned refund money goes further than ever in South Africa. South African Tourism is also excited to collaborate with TurboTax® this season on a blog post inspired by South Africa’s 10 most Instagrammable locations which will be live onwww.blog.turbotax.intuit.com/. Enjoy the best of Cape Town by exploring Table Mountain and then visit either the Winelands or Cape Peninsula. After a few days in the “Mother City,” head on to Johannesburg to transfer to the safari portion of your trip. You’ll be able to spot all kinds of wildlife while enjoying South Africa’s natural beauty. From US$1699/ Per Person Sharing (includes US $260pp savings with promo code SATD260). This week, you’ll take a deep dive into exploring Cape Town’s gorgeous sites and vibrant culture. Whether biking through Cape Point, whale watching from the golden shores, or hiking Table Mountain, you’re sure to fall in love with Cape Town. From US $1,999* Per Person Sharing. Explore the beautiful coastal town of Durban to see a different side of South Africa. Here, you’ll experience the historical melting pot of Indian and African cultures or spend a day relaxing on the beach. Afterwards, you’ll transfer to Thanda Safari Private Game Reserve to partake in game drives and learn about the Zulu tribe members that originally lived there. From US $2,195 Per Person Sharing. Guests can explore the vibrant city of Johannesburg and a guided tour to the Soweto Township, a cultural melting pot with a wealth of heritage sites that will fascinate any visitor. Visit Kruger National Park before continuing on to Stellenbosch in the heart of the Cape Winelands. Then Visit Cape Town, regularly voted one of the most beautiful cities in the world. From US$2,799* Per Person Sharing. Enjoy scenic beauty, culture and world class restaurants in Cape Town. Marvel at spectacular views of the Atlantic seaboard from the top of Table Mountain. Explore the Cape Peninsula, on a full-day tour that offers dramatic scenery and endearing penguins. From US $2,999* Per Person Sharing. Experience the perfect mix of safari and city with this trip to South Africa. After 3 nights of game drives in malaria-free Pilanesberg Game Reserve, couples can retreat to the beach suburb of Cape Town to relax. From US $3,199* Per Person Sharing. “South Africa is blessed with breathtaking natural scenery, world-class safari experiences, and adrenaline pumping adventure activities; and with celebrations around the Nelson Mandela Centenary planned throughout 2018, now is the ideal time to visit,” said Bangu Masisi, President of South African Tourism, Americas. “These packages from our partners showcase the variety of exciting travel experiences that are made possible by using your tax refund”. To book these packages or view additional South Africa travel deals, please visit southafrica.net/deals. 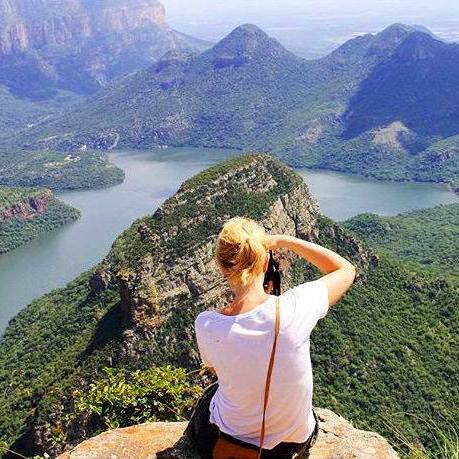 For more information on South Africa’s rich and diverse offerings visit www.southafrica.net, follow @SouthAfrica on Twitter and @VisitSouthAfrica on Instagram and Facebook. This entry was posted in Travel + Food and tagged 360 Magazine, adventure, affordable, Africa, America, American, art, Atlantic, Austin, Bangu Masisi, beach, beautiful, biking, blog, Boston, breathtaking, Canada, Cape Peninsula, Cape Town, challenge, Chicago, China, culinary, culture, culture magazine, Dallas, deal, discover, diving, Durban, edgy fashion magazine, experience, explore, Facebook, family, family time, flight, food, foodie, free time, Game Drive, Global Society, heritage, history, holiday, holiday season, holidays, INSTAGRAM, Instagrammable locations, international, Jakarta, Japan, Johanessburg, johannesburg, journey, Kruger National Park, leisure, lifestyle, lion, location, London, Los Angeles, Melbourne, melting pot, Miami, Milan, Mother City, mountain, natural, nature, Nelson Mandela, Netherlands, New York, North america, Paris, Penguins, Pilanesberg Game Reserve, refund, romance, safari, Salt Lake City, San Diego, San Francisco, Santa Monica, Seattle, social media, south africa, Soweto Township, Stellenbosch, summer, Sweden, Sydney, table mountain, tax refund, tax return, taxes, taxpayer, Thanda Safari Private Game Reserve, tourism, travel, traveler, trip, TurboTax, Twitter, United States, USA, vacation, Vaughn Lowery, Washington D.C., whale, wildlife, Winelands, worldwide, Zulu tribe on March 29, 2018 by wp360mag. Whether you spend spring break partying in a city, exploring a different country or getting some R&R at home, don’t let food safety take a vacation. “Spring break is the perfect time to make memories with family and friends and Stop Foodborne Illness wants to make sure it’s the FUN MEMORIES that fill up your social media,” says Stop Foodborne Illness CEO, Deirdre Schlunegger. Maintaining basic food safety standards, like washing hands, and adding some travel-specific practices is the best way to ensure foodborne illness won’t interrupt a fun getaway. Check out the Stop Foodborne Illness top tips for food safety during spring break. All-inclusive resorts have many perks; they are touted as safer, more affordable, ideal for partying and usually include 24/7 buffets. Having unlimited access to food and drink is convenient, but can be potentially dangerous. Buffets serve large amounts of food over long periods of time, meaning there are more opportunities for food to not be kept at consistent, correct temperatures. Additionally, everyone shares the same serving utensils, increasing the risk of spreading pathogens. Since many all-inclusive resorts also have sit-down dining options on site, Stop Foodborne Illness recommends avoiding the buffet when possible and following these tips when it’s not. •	There’s always the possibility that food has not been held at proper temperatures – cold foods (salads, cold cuts, dressings) should be cold and hot foods (soups, meats, fish) should be hot. Any food that’s served at room temperature, and isn’t supposed to be, is within the temperature “danger zone” where bacteria can thrive. •	Another source of contamination is when food is mishandled by people with unclean hands. If you see something, say something. Don’t assume anything. And, of course, after a day’s activities, be sure to wash your own hands before eating. •	Fresh fruit and vegetables from the buffet can be a great poolside snack but don’t forget to wash and peel the tasty treat before eating. If you’re in an area with unsafe water, wash the produce with bottled or filtered water. Eating and drinking can be some of the best things about travelling abroad. While “going local” is a delicious way to experience a new cuisine, it can also be an easier way to contract foodborne illness. Stop encourages travelers to be adventurous, but smart when it comes to consuming food in different countries. •Street food is a great way to experience local culture, but often, stalls don’t have the same hygiene standards as restaurants that cater to tourists. Stop Foodborne Illness recommends being aware of this difference and making wise choices when enjoying dishes from local restaurants or street stands. •	Avoid establishments where the food handlers don’t practice good hygiene, such as tying back their hair, wearing protective gloves and having clean hands and fingernails. •Be selective when choosing foods. Avoid raw milk and raw milk cheeses, and other raw foods—including undercooked meat and seafood, and uncooked vegetables —as well as foods that require a lot of handling before serving. As they say, half the fun is getting there! When you’re road tripping, in a rental or hopping on a plane, make sure you arrive at your destination safely with safe snacking habits. •	Sanitize tray tables, seat armrests and door handles with an 60% alcohol-based wipe. These frequently touched areas are generally made of plastic, a nonporous material that allows germs to live on longer, and have a higher risk of spreading foodborne illness. •	Keep food out of the danger zone. Make sure cold food stays cold—at or below 40°F—by packing it in coolers with frozen gel packs or ice. Stop Foodborne Illness suggests packing beverages in one cooler and perishable foods in another since you are likely to grab beverages most often while on the road. Since hot food needs to stay hot—at or above 140°F, Stop Foodborne Illness suggests passing on hot foods and opting instead for peanuts, and other nuts (including nut butters), jelly, crackers, chips, dried fruit, baked goods such as cookies or muffins, granola bars, popcorn, and whole fresh fruits like bananas, apples, and oranges. •	Rinse all fresh produce under running tap water (and patting it dry) before packing it in a cooler, including produce with peel-away skins or rinds. Follow this checklist to make sure coolers are packed properly. Not going anywhere? Enjoy a relaxing staycation at home but don’t let your food safety practices go on a break. The best way to prevent the spread of foodborne illness is to continue following proper food safety. Wash your hands for 20 seconds before handling food, cook food to a safe internal temperature and clean cooking equipment and surfaces after preparing raw foods. Visit website for more food safety tips. 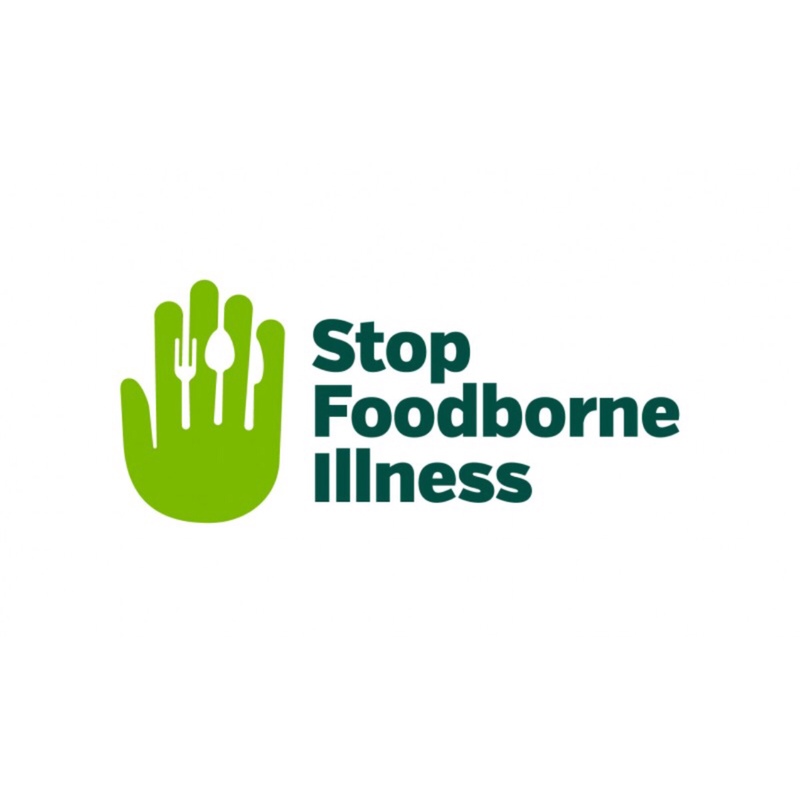 Stop Foodborne Illness is a national nonprofit, public health organization dedicated to preventing illness and death from foodborne pathogens by promoting sound food safety policy and best practices, building public awareness, and assisting those impacted by foodborne illness. For more food safety tips please visit here. If you think you have been sickened from food, contact your local health professional. You may subscribe to receive Stop Foodborne Illness e-Alerts and eNews here. This entry was posted in Health and tagged 360, 360 Magazine, affordable, bacteria, best practices, Betsy Mendoza, break partying, Buffets, cold cuts, cold foods, correct temperatures, danger zone, dressings, eat, eating, exploring, family, food, food safety tips, Foodborne, fresh, friend's, fun getaway, healthy, healthy foods, hygiene, Illness, memories, organic, perks, potentially dangerous, safe, safe food, safety, salads, sanitize, Spring Break, Stop Foodborne Illness, tap water, tips, vacation, Vaughn Lowery, vegan on February 22, 2018 by wp360mag. Roland (LVCC Central Hall, Booth #17544) is displaying its GO:SERIES of products, a high-quality yet highly affordable line that makes it easy to create or capture life’s musical moments. The series includes the GO:KEYS Music Creation Keyboard (GO-61K), the GO:PIANO Digital Piano (GO-61PC) and the GO:MIXER Audio Mixer for Smartphones. A first for their price point, both keyboard models in the series also offer Bluetooth® connectivity for added musical and learning possibilities. The portable, battery-powered GO:KEYS offers music-making possibilities for those interested in creating their own music but have not learned to play piano notes or chords, or even read music. Its unique design offers one-touch operation with a “Loop Mix” feature, in which different instrument patterns are assigned to a range of keys on the keyboard. A simple key-press creates a musical pattern that can be combined with others to create custom grooves while intuitive touch pads enable the sounds to be easily manipulated in real time. Built-in speakers and headphones jack offer on-the-go sound anywhere. The battery-powered GO:PIANO features 61 full-size piano-style keys and high-quality sound derived from Roland’s professional digital piano models, all in an affordable package designed for beginners. Included are a variety of instrument sounds such as piano, organs, strings, and more, plus onboard practice features, a sustain pedal, headphones jack for private playing, and a built-in speaker system. The GO:PIANO comes with an education bundle that contains everything needed to get started, including a lesson book and built-in songs from the best-selling Faber Piano Adventures®. GO:MIXER is a compact audio mixer for smartphone video production that is also powered by the smartphone. Compatible with iOS and Android smartphones, it connects digitally with up to five sources via an included cable, providing clear stereo sound that’s far better than the phone’s built-in mono mic or analog line input. With multiple inputs available, users can connect a mic, musical instruments, and media players, and mix them all together live while they shoot—the ideal solution for adding pro sound to social media videos. 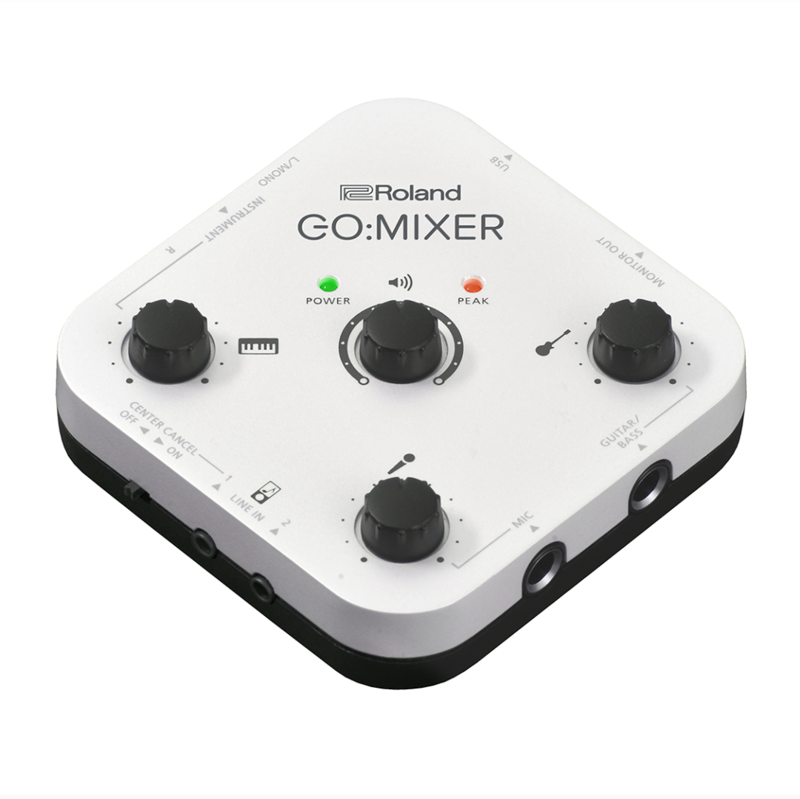 For more information about GO:KEYS (U.S. Street $299), GO:PIANO (U.S. Street $329) with education bundle, and GO:MIXER (U.S. Street $99), please visit Roland.com. This entry was posted in Tech and tagged 360 Magazine, affordable, android, audio mixer, Bluetooth, digital piano, Faber Piano Adventures, GO:KEYS, GO:MIXER, GO:PIANO, GO:SERIES, iOS, las vegas, Loop Mix, LVCC Central Hall, music, Music Creation Keyboard, musical, musicians, nevada, organs, piano, pop culture, Roland, Roland Corporation, smartphones, strings, U.S., Vaughn Lowery on January 10, 2018 by wp360mag.